Let’s install some needed package for this setup. 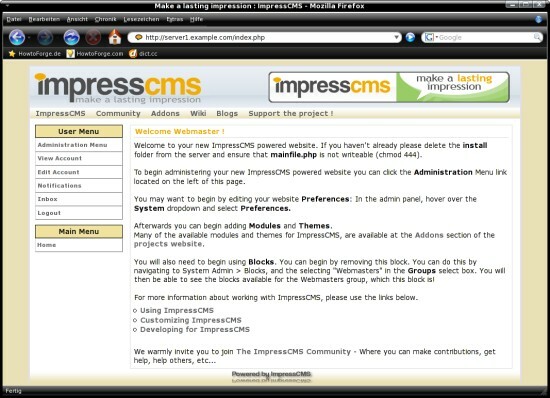 … and the ImpressCMS trust directory. … and restart Apache to take the changes effect. … and change the permissions. 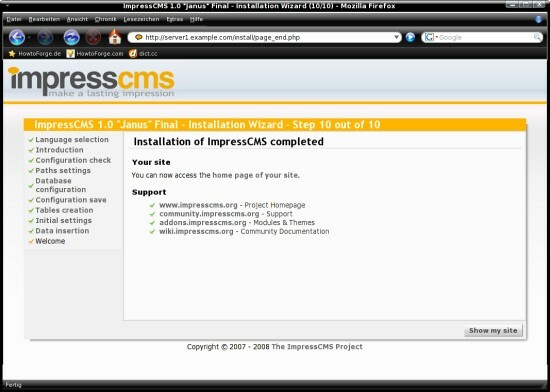 Now we are ready for the installation – open http://server1.example.com/ within your preferred browser. 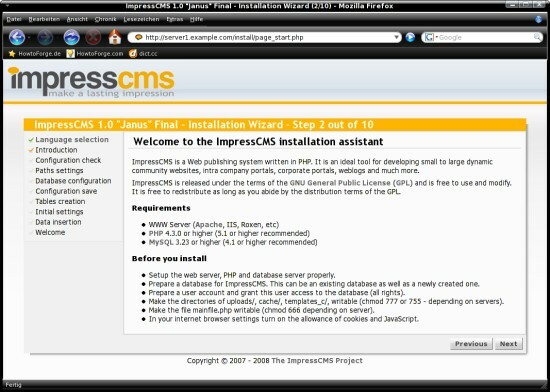 An installation wizard will guide you through the installation process. 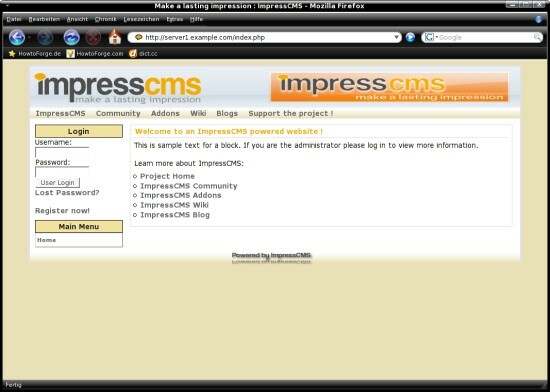 Note: Additional language files can be found on the ImpressCMS SourceForge page. The script has checked the server configuration – all results should be green. The script has checked the file and directory permissions – they should be correct. 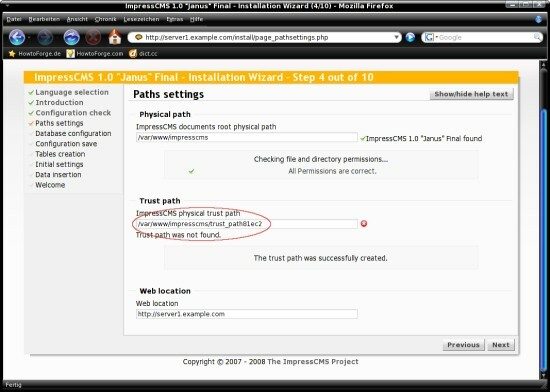 Change the trust path to “/var/www/impresscms_trust” and create the path (click on the corresponding button). Insert the database name, user name and password (from step 3.3). At this point the script is ready to create the database tables. 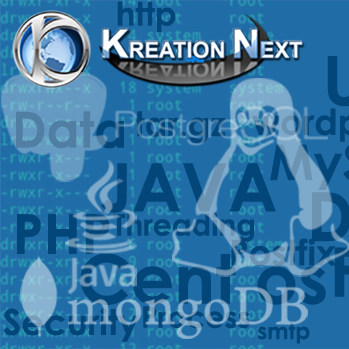 The database tables have been created. Insert the data for the administrator account (I chose “admin” as admin login). The script is now ready to populate the database. 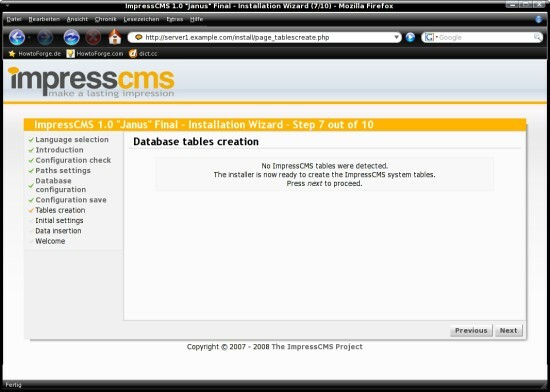 The database has been populated. Finished. Click on “Show my site”. Afterwards, before you log in, delete the install directory and change the permissions of the mainfile. 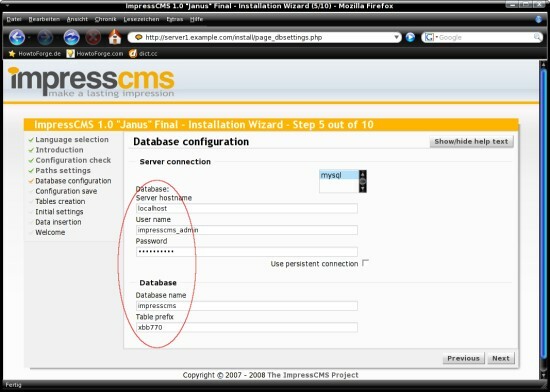 Now you can log in with the administrator account that you created at step 8/10 in the installation wizard.